Trump didn’t leave much room for doubt on his anti-Globalist stance. There are many people who have yearned to hear this rhetoric from a major Presidential candidate…but absolutely don’t want to hear it (or anything else) from Trump. To them, he’s a fast-talking cowboy, a hustler, a bullshitter of the first order, a rank egotist, a narcissist, a racist. Well, we had another candidate who was a mad dog for attacking Globalism, although he didn’t go quite as far. We had Bernie Sanders. He’s gone. He’s voting for Hillary. Sounds pretty much like Trump. But Bernie is a straight shooter. He’s not a bullshitter. Heavens, no. I wonder which new Democratic President Bernie has in mind? Perhaps it’s Moses coming down from the mountain with ten strategies to create jobs in America. In past months and years, we’ve had other candidates who’ve come out strongly against Globalism—Rand Paul (didn’t have the intensity); Ron Paul (lacked intensity of delivery, and the media/GOP cut him out of debates and withdrew coverage); Ralph Nader (never had a prayer). So, for all those people who can admit Trump is saying the right things about Globalism and making all the right promises—but hate him for various reasons—we obviously need someone else who will say what Trump is saying, get it across, attract huge crowds, and garner widespread support. Who is that? Where is he? Where is she? Therefore, let’s all vote for Hillary, right? Because at least she isn’t a bullshitter or a wild cowboy, and she can maintain stability here at home while US forces launch a few dozen wars under her guidance. No? No good? Hillary’s a…what? A demented vulture? Really? Is it possible to perform some kind of surgery on Trump’s brain, so he emerges saying the same things about Globalism, but actually means them, minus the ego and the narcissism? Could his brain be shifted over from that of a hustler to a man of the people? No? No such surgery exists? Too bad, eh? Because this real estate gunslinger is actually talking about canceling NAFTA and refusing to ratify the TPP, two cornerstones of the Globalist agenda. He’s talking about punishing US companies who shift manufacturing jobs overseas, by laying on tariffs when they export their products back to US customers. Maybe brain-dead indoctrinated college students don’t understand what all this means, but US workers who’ve been thrown out of their jobs sure as hell do. Trump actually makes a distinction between Globalism and what’s good for America. He doesn’t pull back from doing that. Because, after all, if you bring the lost US jobs home from the clutches of Globalists, that is, in fact, good for the people of the US, right? And therefore, it’s good for America. But of course Trump is completely insane and he’s a major league liar, so he’s out. How about this? A mind-control experiment in which everything Trump has been saying about Globalism is automatically transferred into the brain of LeBron James. Then LeBron shows up at the Democratic National Convention, announces his candidacy, throws down a few thundering dunks, and steals the nomination from Hillary. Can we pull that off? Oh well. It’s only 4.8 million lost US jobs (and more coming). It’s only 60,000 US factories closed down (and more coming). So where are we? Let’s look at the leaderboard. On one side, we have Hillary Clinton. She’s in the pocket of Big Pharma, she’s dedicated to the advance of Globalism on every possible front (“it takes a village”), she can’t sleep at night unless US planes are bombing some helpless population. On the other side, we have Donald Trump, who’s saying all the right things about Globalism’s attack on America, but he just happened on this rhetoric by accident, he doesn’t mean any of it, he’s lying all day and all night, he wants to change the name of the White House to Trump Tower II. We know he’s lying because Bill Maher and John Oliver say so. I have an idea. Finally. Let’s all pledge our allegiance to HUMANITY without describing what the word means. Let’s just go with the generality. Let’s feel good about it. We’re pledged to The Human Family and The Future. Just leave it hanging out there. No need to get specific. That’s how we’ll ID ourselves. “We’re for humanity, we’re for everybody else.” See, isn’t that better? Then we can say, “Hillary is also devoted to Humanity. She says so every chance she gets, so it’s a perfect match. Let’s give the political leadership of the country to her. And then, whatever she does, we can assert it’s because she cares. And so do we. We all care. It makes us virtuous. And that’s all that important: giving the appearance of being virtuous. All those factories that have closed down and all those people who are out of jobs? Screw them. They’re impediments to a much higher cause. What are they complaining about? The government will take care of them. Right? The government will take of everybody. That’s what caring means. Right? We and Hillary are on the same page. The Presidency is a character issue. Hillary pretends she has character. Trump doesn’t. That’s all we need to know or ever will need to know. In the EU referendum about whether or not the UK should remain in the European Union, the UK government warns that leaving the EU could mean 10 years of uncertainty as new trade deals are formed, and even a collapse of the UK economy with a year of recession. Meanwhile, the news media and anti-EU politicians concentrate on the topic of immigration, leaving the general public in fear of increasing migrants who will drain the economy and swarm their towns (source). This same fear mongering happened in Norway when they held a referendum in 1994 (source); yet Norway, Iceland, Liechtenstein, and Switzerland, as non-EU members within Europe, enjoy some of the highest living standards in the world. Iceland was also the only country to put bankers in prison instead of bail them out (source) and Norway will ban the sale of all fossil fuel-based cars in the next decade (source). But inside the EU, a member country has the ability to influence the laws of 507 million people. Surely it makes sense to be part of a group of nations working together for a shared common good? First, there is the European Parliament, where MEPs are elected by the general public to represent them; their job is to vote for or against proposed new EU laws. Next there is the European Council, where the nations’ leaders meet; yet their job is also not to propose new legislation. That is the role of the European Commission, which consists of 28 commissioners — one for each member country. These people are not elected but chosen by each country’s current leader. It is these unelected commissioners who create the laws, not the leaders or MEPs we vote in. It is also important to note that the 2007 Treaty of Lisbon replaced all previous treaties as the new EU constitution; in this treaty, it is also almost impossible for any country to petition a law once it has been put in force (source). So where are these Commissioners getting their ideas for the laws? They come from the The European Round Table of Industrialists. The ERT consists of “around 50 Chief Executives and Chairmen of major multinational companies” and the ERT was formed with the express intention of shaping and furthering EU integration (source). For example, in January 1985, the ERT presented “Europe 1990 – an agenda for action,” an action plan for the single market; 10 days later Jacques Delors, the new President of the Commission, gave his speech about the single market in parliament, and in June 1985, the Single Market White Paper was published, which was a copy and paste from the ERT action plan (source). In 1997 they negotiated a trade agreement at the OECD called the Multilateral Agreement on Investment (MAI), which allowed corporations to sue governments if EU laws increasing environmental protection, improving labor standards, securing equal treatment for women, or taxing capital impeded on their profits (source). The proposal was leaked and the agreement fell through, so the ERT put the agreement forward again under the name MIA at the WTO, but this time the commissioners resigned due to several counts of fraud and the MIA was also never passed (source). Maybe you have heard about TTIP or CETA? These are new versions of this same trade agreement which now incorporate the USA and Canada, as corporations push harder than ever for their monopoly over governments to be enforced for the greater good. Greenpeace Netherlands leaked copies of TTIP, stating, “Whether you care about environmental issues, animal welfare, labour rights or internet privacy, you should be concerned about what is in these leaked documents” (source). Europe, Inc. is another non-profit report showing the dangerous liaisons between industry and EU institutions as well as other other international institutions, such as the OECD, WTO, and the United Nations. But surely none of this really matters because we can trust the EU to ultimately make decisions that are best for the people, right? In 2002, Marta Andreasen was employed by the European Commission as Chief Accountant, but when she approached the Commission because huge sums of EU monies were unaccounted for, the Commission fired her for “failure to show sufficient loyalty and respect.” When Marta took this to the EU court, she was found guilty of refusing to sign accounts that she believed were unreliable, and she lost her pension (source). One month after the economy collapsed in 2008, the then President of the Commission, José Manuel Barroso, appointed The Independent High Level Group on Financial Supervision. But this was not a group of independent economic experts; it was a group of eight men linked to Lehman Brothers, Citigroup, and Goldman Sachs — three of the US banks that caused the crisis in the first place. For Greece, the decision was made to have the general public’s bank accounts frozen (source), withdrawals limited (source), and deposits taxed (source), and when the people of Greece voted on rejecting further loans from the EU in 2015 (source), the EU threatened to punish Greece further (source). If corporations and banks are deciding what laws the commissioners should create, if politicians are cooperating with these corporations and banks, and if the decision-making processes by these corporations, banks, and politicians are deliberately being carried out in secret, is it enough for us to just say that this is the world we live in today? Where is the EU heading? 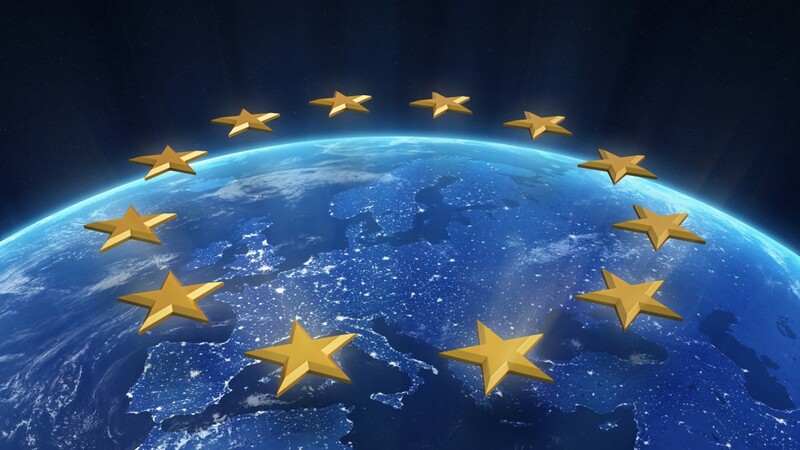 Within the EU itself, it is no secret that the goal is to build a superstate renamed the United States of Europe (1, 2, 3), with its own central government (source) and an EU army (source), as well as EU border and coast guards and a European CIA (source). The EU’s CIA does now exist, Eurojust is also being given power to start criminal investigations and prosecutions, and Europol is the European Union’s police force. Meanwhile, the EU is blocking its borders to the humanitarian crisis caused by wars that it is supporting, and it is increasingly being called “Fortress Europe” (1, 2, 3, 4, 5, 6). The USA is also sending in a wave of military assistance to provide “a visible symbol of U.S. commitment to the region and our European allies” (1, 2, 3, 4). Have we not learned from history that when the economic situation gets increasingly worse for the general public (1, 2, 3, 4), and people start to act out of fear towards others (1, 2), they turn a blind eye to their own government’s role in the treatment of others around the world (source), they accept the removal of all their civil rights (1, 2, 3, 4, 5, 6), and they sign up for war (source), which only increases hatred and propagates more violence (source)? We also know from history that this situation is a potential recipe for fascism, dictatorship, and a police state (1, 2, 3, 4, 5); yet we still cling on to the notion that democracy means letting these people run things on our behalf. A recent study by Princeton University has statistically proven that the USA is now covertly ruled by a small group of people in government, big business, media, and the intelligence services. Does the evidence presented here not suggest that this is also the case in Europe? People say there is nothing we can do, but this system only functions because we cooperate. We blame society, but we are society. The question is, when are we going to speak out — at work, in public, on social media — and proudly shout out “no more!”? ROBITO CHATWIN Hi there! I have 14+ years experience teaching in the primary, secondary and higher education sectors, and I first started contributing articles to CE in April, 2014. I am founder of Wake Up World Education, a project to promote critical thinking and inspire positive systemic change by raising awareness of global issues not covered in mainstream media. Please support us on YouTube, Facebook, Twitter, or subscribe here. Thanks! 2. U.S. commercial bankruptcies have risen on a year-over-year basis for seven months in a row and are now up 51 percent since September. 6. The Cass Shipping Index has been falling on a year-over-year basis for 14 consecutive months. New York, NY – In 2015 there was a popular “conspiracy theory” floating around the internet after a rash of mysterious “suicides” by high profile banking professions. 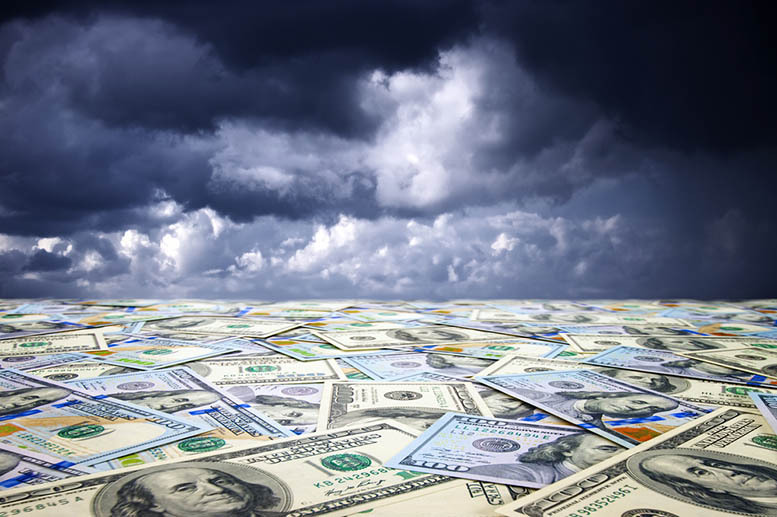 What once looked like wild speculation is now beginning to resemble a vast criminal conspiracy connected to the Libor, interest-rigging scandal. Over forty international bankers allegedly killed themselves over a two-year period in the wake of a major international scandal that implicated financial firms across the globe. However, three of these seemingly unrelated suicides seem to share common threads related to their connections to Deutsche Bank. These three banker suicides, in New York, London, and Siena, Italy, took place within 17 months of each other in 2013/14 in what investigators labeled as a series of unrelated suicides. Financial regulators in both Europe and the U.S. in 2013 began a probe that would ultimately become known as the Libor scandal, in which London bankers conspired to rig the London Interbank Offered Rate, which determines the interest banks charged on mortgages, personal and auto loans. The scandal rocked the financial world and cost a consortium of international banks, including Deutsche Bank, about $20 billion in fines. In October 2014, two Monte Paschi executives were convicted of obstructing regulators and misleading investigators by Italian authorities over the bailed-out Italian bank’s finances in the wake of the acquisition of Banca Antonveneta – which was heavily financed by Deutsche Bank. Another of the mysterious deaths being revisited is that of William Broeksmit, 58, a Deutsche Bank exec was found hanging from a dog leash tied to a door at his London home in January 2014. Broeksmit was found among a mess of financial papers, with a number of notes to friends and family nearby. A Deutsche Bank colleague, Michele Faissola, was called and arrived minutes later and began suspiciously going through the financial documents and reading the suicide notes. New York City attorney, Calogero “Charles” Gambino, 41, was a married father of two, and Deutsche Bank’s in-house lawyer for 11 years at the bank’s downtown headquarters. Gambino primarily worked on defending the Deutsch Bank against Libor charges and other regulatory probes. In October 2014, Gambino’s was found hanging from an upstairs balcony of his Brooklyn home, with a rope that was snaked through the banister and tied off on the newel post on the first floor. There was no note found and the family has steadfastly refused to comment on his death. Jay Syrmopoulos is a political analyst, free thinker, researcher, and ardent opponent of authoritarianism. He is currently a graduate student at University of Denver pursuing a masters in Global Affairs. Jay’s work has been published on Ben Swann’s Truth in Media, Truth-Out, Raw Story, MintPress News, as well as many other sites. You can follow him on Twitter @sirmetropolis, on Facebook at Sir Metropolisand now on tsu.